By contrast, he offers a graph illustrating the trading environment between 1966 and 1982. 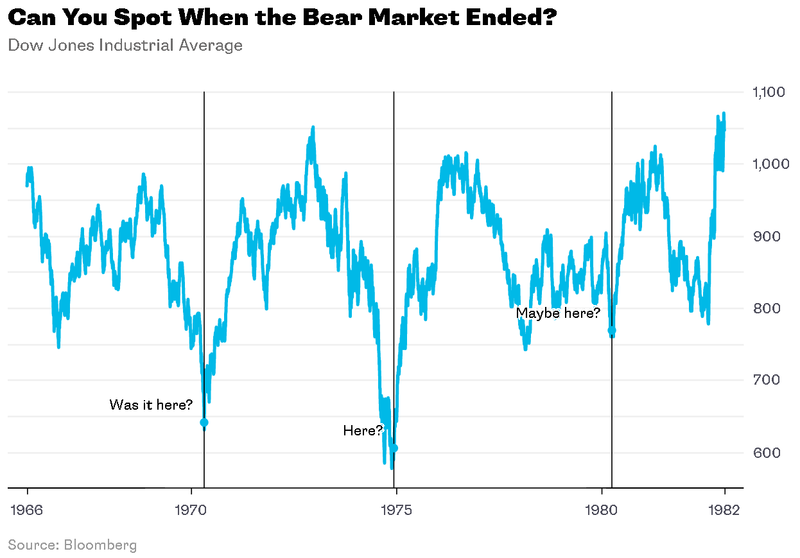 “That was one of the all-time classic bear markets,” writes Ritholtz, “characterized by high inflation, high unemployment, high Treasury yields and rising inflation—as well as strong rallies followed by sharp selloffs.” The graph, he explains, shows that at the time nobody knew what the market would do. 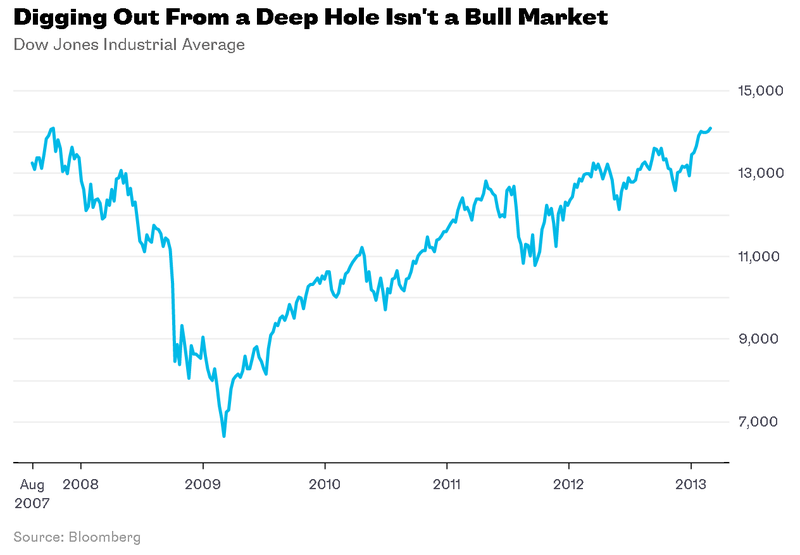 March 2009, Ritholtz asserts, could have been mistaken for December 1974, “which looked like the start of something good before sputtering out”—which is why, he adds, we should not mark the start of a bull market until new highs are ascertained.